Timely garage door repair services offered by professionals are beneficial to all garage door owners. Overhead doors are subject to pressure on every use, making them susceptible to damage. Immediate repair even on the slightest issue would extend the life of the door and provide convenience to the owners. Our comprehensive service covers everything related to garage doors and has stock of doors and parts from leading manufacturers, including Chamberlain, Genie, Stanley, and Liftmaster. We perfectly install all kinds of doors, including sliding, roll up, and overhead; whether they are made of steel, glass, wood or aluminum. Due to constant use, these doors are subject to natural wear and tear. Moreover, there are other factors that may cause it to malfunction. If that happens, count on the exemplary service of our unequalled technicians at “Garage Door Repair Lockhart” to fix the issue. A door that doesn’t open or close is one of the most common concerns of owners. Some of the possible causes for this are the battery of the clicker may be dead, the springs are broken or the garage door cable snapped. You may also be able to open or close the door, but find it difficult to do so. This could be caused by dirt or grime that accumulated on the door tracks, damaged rollers or insufficient lubrication. We’ll thoroughly check on the issue to determine what the source of the problem is. There may be more than what meets the eyes and we guarantee to fix the root cause. 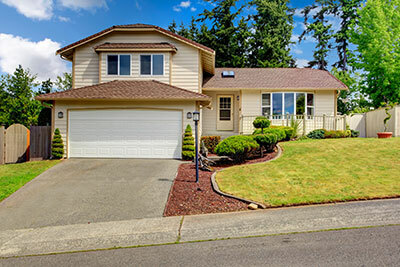 Garage Door Repair Lockhart has highly trained experienced and skilled technicians with the best tools available in the industry for fast and accurate garage door repair services. In case replacement of door or parts is required, we’ll let you know. Furthermore, we offer maintenance service and will schedule the maintenance at the most convenient time for you. Call us anytime you need our help or have questions regarding services provided.